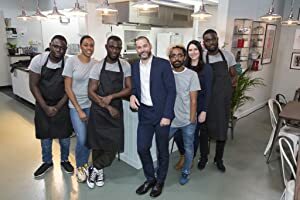 Million Pound Menu – Season 1 (2018) – What's New on Netflix Canada Today! Next-gen restaurateurs get the chance to open their own pop-up eateries to impress the paying public — and a panel of discerning U.K. investors. Best friends pour their passions into locally sourced food and wine. A self-trained chef believes his shrimp burgers could be the next big thing. A group of friends think Britain’s ready for a Cuban-food revolution. A vegan foodie serves up “junk” food with a healthy twist. Participants try to convince a jury that their new restaurant ideas could work.